I am 16 and I want to dance contemporary. I have never danced ballet, or modern dance; just a little of hip-hop. How can I start?? with ballet? please help me, I have no idea... and sorry for my bad English, I am latina. YES! You can start dancing contemporary at 16. You know what? Most of the pioneers of modern and contemporary dance started taking classes at that age or even later. Nowadays, the practice has spread a lot and there are official schools where you need to be a child to be admitted. But that is the case of academic tuitions in which students are prepared for achieving skills that are acrobatic and highly refined. You can also achieve that if you want, according to your conditions and the time you spend from now on to the practice. If you take ballet classes, that will help you a lot. Ballet is a type of training that develops skills used when dancing contemporary. But, the study of ballet is not strictly necessary. Browse over our page about contemporary dance schools if you haven´t found the places in your locality yet. If you’re wishing to do this professionally, better look for a school with long-term planning and official certifications. If you just want to give it a try or don’t want to engage much yet, an academy for amateurs might be enough. Good luck with your start. Let us know how you get on and don’t hesitate to reply with more questions if you have them. Im 16 going on 17 tomorrow,i havent had any training with dance of any kind,but i would love to learn how to dance in contemporary and tango,its one of my passions,but where do i start?? There's also a link in this same page, just above, within my answer to the first question of this thread. That link will take you to our directory of schools, where you can search for possible places to start taking your classes. 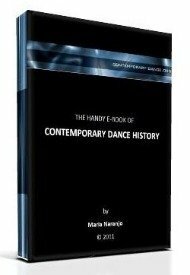 I can provide you with the information about contemporary dance, as that is the topic of my website. Unfortunately, I don't have much specific information about Tango classes yet, so you will need to continue searching in the web and offline for that type of dance. I also recommend you to browse over the entire section about questions from beginners. You might find related information that can possibly help you and you can also share with others that are in the same moment as you are. Is it too late to learn dance at 20? It is not too late to start dancing at 20 years old neither, but as with all careers, that also depends on your own general abilities for dancing and art. In any case, if you want to do this professionally, you will have to work hard. Is it too late to succeed professionally in the dance world? Sure you can. That’s actually the best age to start. But make yourself sure that the classes are for your age and level. That’s important. You should not take classes that are more advanced. Hi! I am 16 and I want to start contemporary dancing in a few months. How long will it take me to become really flexible? Flexibility is a physiological condition that can be improved, but it usually takes a long time. Depending on your physiognomy, you may gain one or two centimeters per year on a muscle, if you practice daily. Yet, enormous flexibility is not strictly necessary for contemporary dance, as it is for ballet, for example. That depends a lot on the aesthetical projects you work on. Start comtemporary dance at 16? Can I star contemporary dance at 16? I have done gymnadtics most of my life so I am really flexible and can do many acro. Also I've done modern dance, tap and jazz, but never ballet and I'm kinda worried. Yes, you can start at 16. If you want to know more, read the first reply I wrote above, at the beginning of this chat. It applies to your case. I don’t recommend you to study from videos, if you are a beginner, but if this is the only option you have, give it a try. Just be careful and remember to warm up before trying to do difficult things. Flexibility can be gained, whatever your age, but the process is slow. I am 18 years old and I started taking dance lessons for hip hop and contemporary at 16.I already knew bollywood pretty well.But I could not focus on dance in the past two years as much as I wanted to.Now that I am finally going to get free of my other commitments I am pretty sure that I can give a lot of attention to dance.If I start working really hard now,will I be able to be a professional? Both my teachers tell me that I have a lot of potential.I have also gained strength and sense of motion and balance.I am naturally very flexible (because of my hypermobility syndrome) and already have mastered my splits,oversplits, handstand,cartwheel,and most of the other basic and some intermediate stuff for contemporary and hip hop .But I am too afraid that starting so late and focusing on 2 dance forms at the same time is going to cost me a lot....but I want to dance professionaly very eagerly...please help.. It may take you a lot of work, yes. But you can only know where you’ll get if you try. If you focus on learning one dance genre only, it may be easier indeed. Yet, you can start with both genres and depending on how things go, you may decide how to continue in the future. Being a dancer is difficult, regardless of the age you start at. But if that’s what you love, what else are you going to do? Ballet can be very helpful to improve the dancing skills needed for modern dance, acro and lyrical. It may help, if the class and method taken are appropriate for the level of the student. Yet, if the classes and method of your daughter’s current teachers are good, they will also make her improve her posture and leaps. It all depends a lot on the quality of the learning processes. Can I start dancing at 15? I danced competitively for 5 years when I was young and learned technique and then quit to do cheer. I wish I would've kept going with dance because it's really my passion. But in worried I'm too late and I'll be behind everyone else because I won't have the same skills as everyone my age. I would like to work one on one with someone until I got caught up. I'm really determined. Would that be possible? That may be possible, but you need to focus and work hard. Start the practice and keep trying for a good long period of time. Learning to dance is a long process and one needs to be patient. Yes you can, but always with a qualified teacher. Don't try difficult acrobatics on your own or with friends that don't have good knowledge of the topic. I think you are in a great age to do all this things you're planning. And you also have a lot of background work, so your age is more than o.k. Go for it! Hi, i'm 15 and wanted to know if its too late for me to start learning modern dance, without having prior knowledge or experience in ballet or dance in general. Also, are therr any reliable schools where i could learn modern dance as a beginner? Do i need to know ballet first? You don’t need to have prior knowledge of ballet, or any type of dance, to start learning modern or contemporary dance. However, there are schools that make this demand, because ballet is a powerful and very complete dancing technique. Please take your time to read my replies above in this chat, to understand more about the age issue. If you really want to dance, I recommend you to try again. You will only know if you can do it if you go for it. No one can say what may happen. Can I join a company? Goodevening,one of my biggest dream is to join a company of dance (big or small I don't care) or even become a backup dancer afetr studying abroad. I'm 16 (17 in May) and I have two years and a half of dance background and I'm really flexible according to my doctor.. On september I'm changing my dance school for one more difficult, stronger and that takes you very far. I'm really afraid to be late and not to succeed. I guess you’ve already read my replies in this chat, especially the first one above. If you haven’t, I recommend you to do it. I'm 13 years old and I've been dancing jazz for about 3 years . I've wanted to try contemporary for a while also but Is it too late to start? No, it’s not too late to start. Find a long answer to this question in our FAQ page. I know, I know, people keep saying that it's not too late. I'll 14 years old, yet if I try to join my dance of choice (ballet) I'm going to be REALLY far behind! Is there a class for my age who have never taken ballet before? Or am I going to have to join a class of really experienced dancers!? Also, I have had stage fright for quite some time, I'm not really flexible, I hate makeup and the costumes, so recitals would be a nightmare for me! Yet, I can't stop thinking about ballet, and how much fun it is for me to dance. I just don't know if dance is right for me. You should not take a class of an advanced level that you don’t have yet. Your task is to find a school where there are classes for beginners like you. Ideally, everyone should be around a similar age, but this type of classes may be also shared with people of a wider range of age (younger or older than you). If you like to dance as much as you say, you should try to do it. It’s only trying that you will know what your possibilities are. Stage fright is something that you’ll learn to manage with practice, as everything else you’ll have to learn; and there are ballet performances without makeup and with casual clothes. That’s ballet that involves modern or postmodern values. You may fit perfectly into something like this. If a lack of flexibility becomes a problem, you may find out that you also fit in another close dance genre like postmodern or contemporary dance. But you can only know if you try. It's all about practice. Start practicing again and you'll see. I am 12 years old and I really want to start contemporary dance, but I don't know if it is too late, or if I won't be able to catch up to other people and if they will make fun of me. Is there such thing as private lessons? Sure, there are private dance lessons. Just ask the teachers at the nearest school. The best option is to do both: take offline classes and study on your own with videos or tutorials. To be self taught is possible, but I’d recommend you to have social interaction and try to have as much offline experiences as possible. I STARTED DANCING CLASSES AT THRE AGE OF 10 BUT STARTED DANCING MODERN AT 8 CAN I ACHIEVE MY DREAM OF BECOMING A PROFESSIONAL DANCER. Considering your age, I'd say YES, you can become a professional dancer. However, I must say that the age is not the only factor that counts here. You need to follow a regular learning process and be disciplined. Contemporary-dance.org does not offer online dance classes (for now). If you want to learn to dance, you need to take classes, wether offline or online. The content that you will find in contemporary-dance.org is the perfect complement for the classes. Take your time to explore the whole website and read as much as you can. Is it alright if my daughter wants to try contemporary dance at age 14 without having any dance experience? Yes, it is alright if your daughter starts dancing contemporary dance at the age of 14 without having any dancing experience. But it is important that the class she takes is of a 'BEGINNERS LEVEL'. The clue is always the level of the class. The age is not so critical, as long as the student feels comfortable, even if her/his classmates have other ages.